A sleepy English village seems to have fallen into the Twilight Zone, but Three takes it all in stride with his usual patronising yet reassuring sang froid. 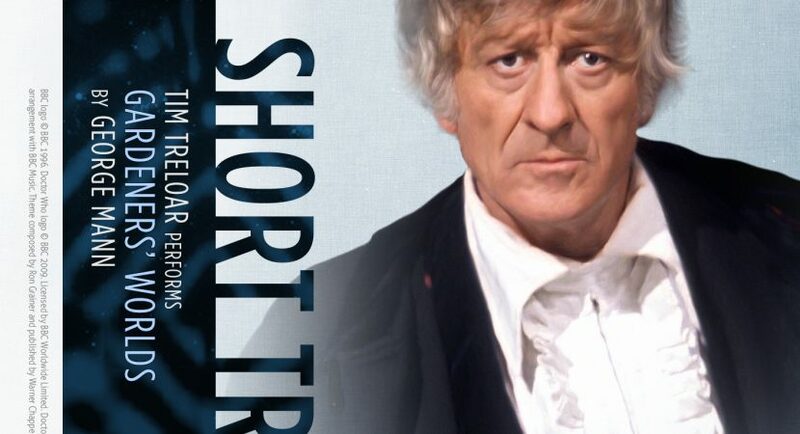 It starts out simply enough: Jo has to wedge the Doctor out of his lab and catch his interest in a local mystery which, at first, seems too pedestrian for UNIT to be bothered about. Is there a secret conclave of Harry Potter wizards causing minor unexplained phenomena in the village of Colston Burghley, or is the Master messing about with TOMTIT again? No, it turns out to be something even more bizarre. This is a very Three-era story: trundling about the picturesque English countryside in Bessie, talking to bemused locals whose lives have suddenly become odd, the Doctor hunting down clues until he arrives at a most unlikely explanation, and Jo and Mike trying to figure out what he’s on about. Jo, who’s seen a bit more, has an easier time piecing together his gobbledygook than the easy-going captain. Mike: I’m not sure I quite follow you, Doctor. Doctor: Yes, well, never mind that. Perhaps there’ll be something to shoot at later. They all sound exactly like themselves, and Tim Treloar as usual does a passable job of bringing the Third Doctor and this era to life. By the end, mere curiosities have become a deadly serious problem, and the stakes are very high indeed. The gobbledygook science is on the same level as The Time Monster or Inferno, and it runs fairly casually over bits of canon that later on became much more rigid. But there’s some quite unusual ideas and imagery in this piece, and it’s a fun little story. The only minor quibble I had is that last month’s Short Trip had Mike and time parasites as well. But that was with Eight and Charley.